Four Ethiopian teenagers given a one-month jail sentence for distributing Christian literature are reported to be in “good health” following their release from prison on 22 December. The girls were found guilty of “inciting religious violence” and started their sentence on 25 November, despite three of them being minors. Gifti, 14, Mihiret, 14, Eden, 15, and Deborah, 18, served their time in a large prison in Gelemiso, alongside criminals. The Christian girls were distributing a book in the eastern Ethiopian town of Babile, not far from Harar – a city recognised by UNESCO as the fourth holy city of Islam – when they were first arrested. Local Muslims said the book was an insult to Islam and, on 19 September, this led to an attack on the Protestant Meserete Kristos Church (MKC) in Babile, and the arrest of the four. The book, Let’s speak the truth in love: Answers to questions by Ahmed Deedat, was written in Ethiopia’s main Amharic language by a local author. It sets out to answer questions posed by the late South African Islamic scholar, and former head of the Islamic Propagation Centre International, about the Christian faith. Local Christians decided to distribute it following cross-cultural evangelism training. Town officials arranged a meeting the day after the attack on the MKC, at which church leaders apparently apologised for the distribution of the book. Following the meeting, officials arrested Deborah, Eden, Eden’s mother and a man known as Bekele. That same night another church was attacked, and the next day church leaders were threatened when a group of 20 Muslim youths reportedly visited the house of the MKC leader and warned him to leave the area or risk losing his life and property. Officials released Eden’s mother on 21 September, but arrested the remaining two teenagers, Gifti and Mihiret. The four teenagers first appeared in court in Babile on 28 September. During police investigations, the girls were medically examined – a practice to determine the exact age of girls who don’t have recorded birth dates. In Ethiopia, anyone under 18 cannot be tried in an adult court. Despite this, the judge transferred the case to a higher court in Harar. After delays and the release of the girls on bail, after they paid Birr 3,000 (about $135), they were sentenced at a court in Babile on 15 November for inciting religious violence. Although Ethiopia is not a majority-Muslim country, the Harari region, close to the Somali border, has a significant Muslim presence. 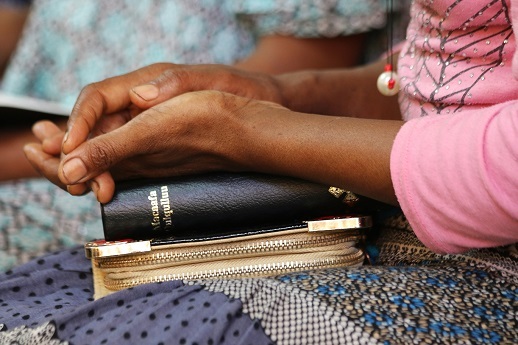 Ethiopia’s constitution guarantees freedom of religion, but Christians who formerly adhered to Islam can face discrimination, threats and sometimes attacks. Ethiopia is ranked no. 22 on the 2017 World Watch List of the 50 worst countries to live as a Christian, produced by Open Doors, which works with Christians under pressure for their faith.